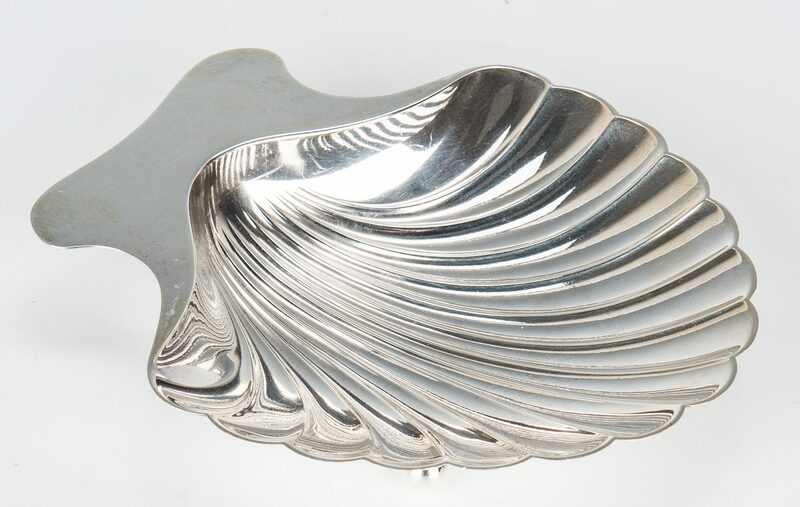 Tiffany Sterling Shell and Gorham Sterling Bread Tray. 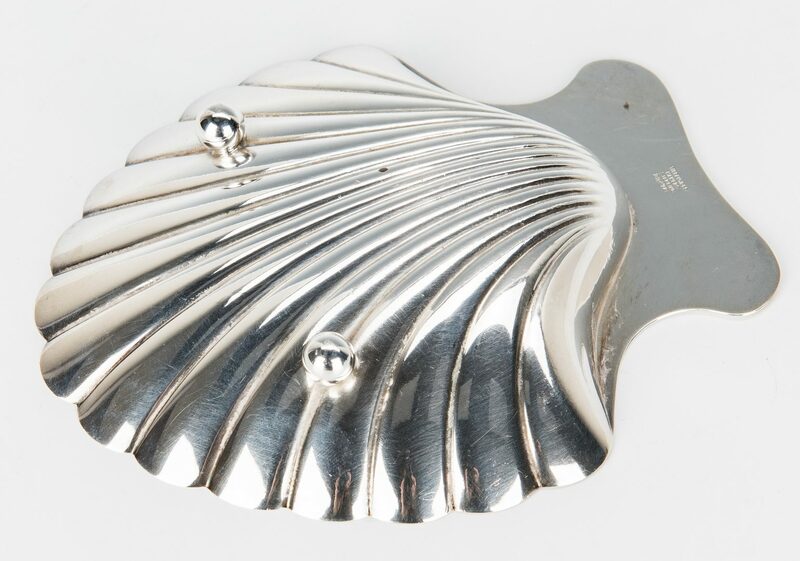 1st item: Tiffany and Company sterling silver shell dish marked "Tiffany & Co. Makers/Sterling/22478". 1" H x 5 3/8" L x 4 3/4" W. 3.930 troy ounces. 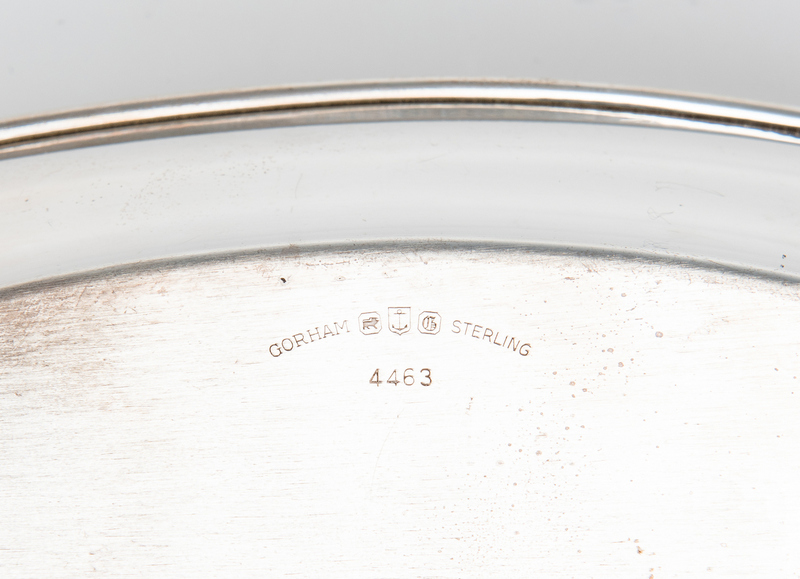 2nd item: Gorham sterling silver bread tray, hallmarked and numbered "4463". 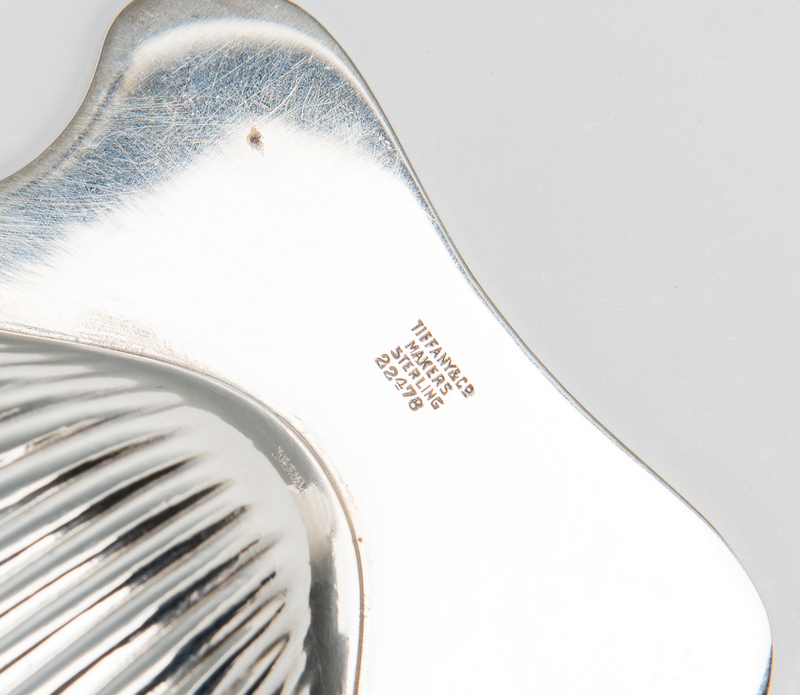 2" H x 12" L x 6 1/8" W. 8.095 troy ounces. 12.025 total troy ounces. CONDITION: Both items overall good condition with light general surface wear.